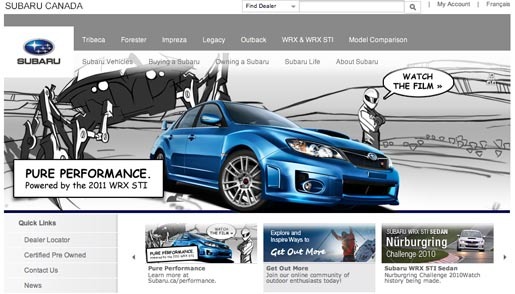 Subaru Canada is using flip chart animation to demonstrate the performance and power of the 2011 Subaru WRX STI. 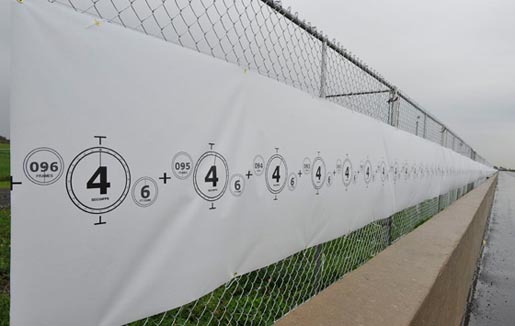 DDB Canada in Toronto worked with a production team to create a real, flipbook or zoetrope that comes to life only when the vehicle passes by. The television spot opens with sketch animation of the redesigned WRX STI driving through a variety of challenging terrains while being chased by a giant robot crab. 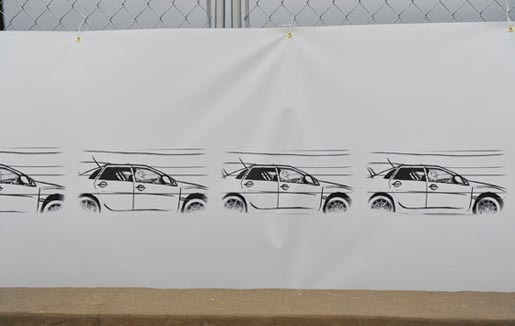 The camera then pulls out to reveal the animation is actually taking place through the window of a real 2011 WRX STI; animation that has been powered by the WRX STI driving past a series of 760 hand-drawn frames to create one smooth animated story. 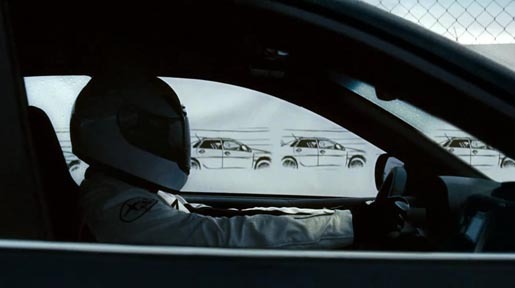 The camera moves out further to reveal the car driving past these frames, showing the redesigned performance vehicle in all its glory. 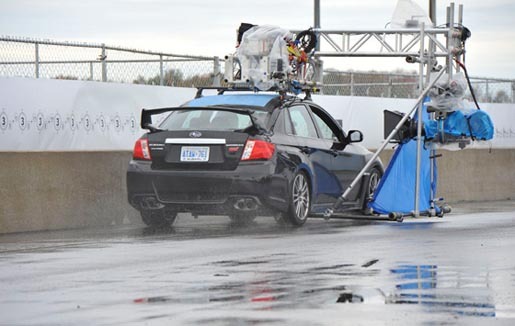 The Pure Performance campaign also includes Facebook connections, test-drive clips on the Subaru Canada YouTube channel, print, radio, online and in-store executions. The Pure Performance campaign was developed at DDB Canada by creative directors Andrew Simon, Todd Mackie, Denise Rossetto, associate creative director Paul Wallace, copywriter Daniel Bonder, art director Yusong Zhang, agency producer Andrew Schulze, executive producer Harland Weiss. Filming was shot by directing team Woods + Low (Chris Woods, Jeff Low) at OPC, Toronto, with director of photography James Gardner and Adam Marsden, line producer Tara Handley. Post production was done at AXYZ by compositor Dave Giles. Transfer was done at Alter Ego. Colorist Wade Odlum. Animator was Kevin Adams at Starz. Editor was Brian Williams at Posterboy. Sound and music were produced at Pirate Toronto by director/producer/sound designer Chris Tait.